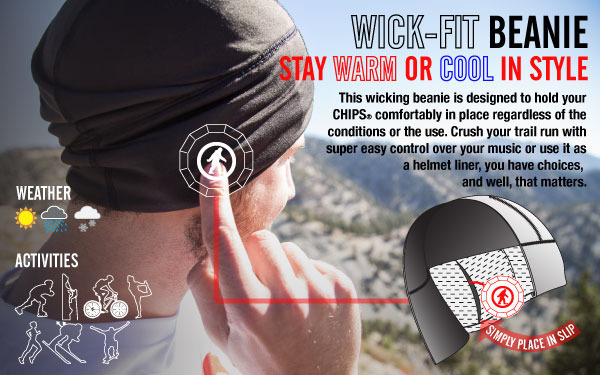 Outdoor Tech®: the same outdoor designer brand that delivered the Turtle Shell® and Big Turtle Shell® in their first two Kickstarter projects continues to have the biggest and best line of Bluetooth audio products on the market. 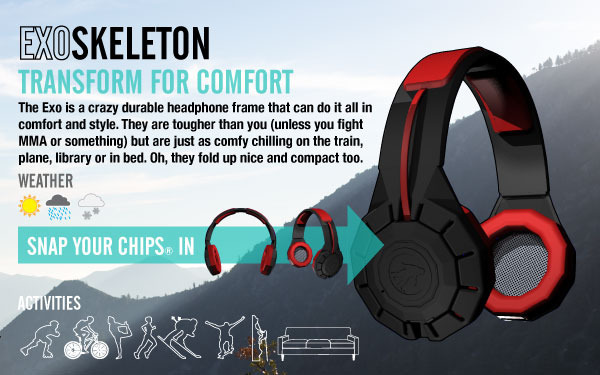 We’re now asking for your help to launch the CHIPS® All-In-One Headphones. 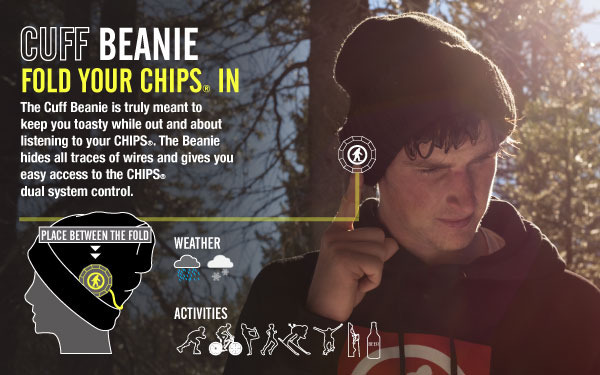 The CHIPS® were born from the constant frustration of trying to listen to music, make/take calls, and ask Siri those ever important questions while on the mountain. We knew we wanted incredible sound so we included 40MM drivers. We wanted our fingers to stay toasty warm, so we made over-sized buttons to control everything with gloved hands. We also knew it needed to stand up to the elements: IPX4 and the ability to handle frigid temps (-20°C/-4°F). 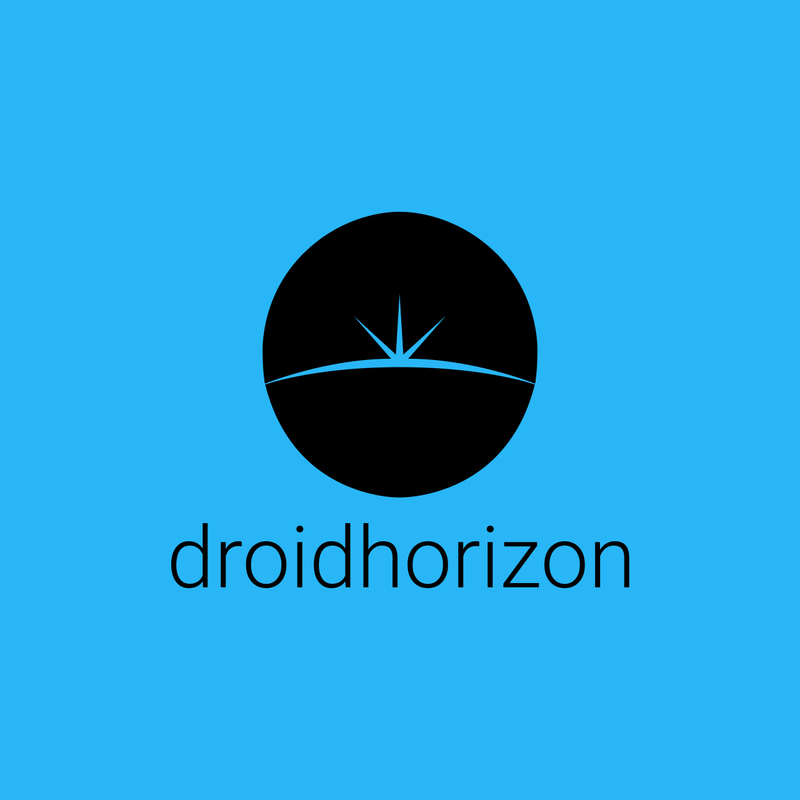 With a built-in mic we could take calls and leave our phone in our pocket. 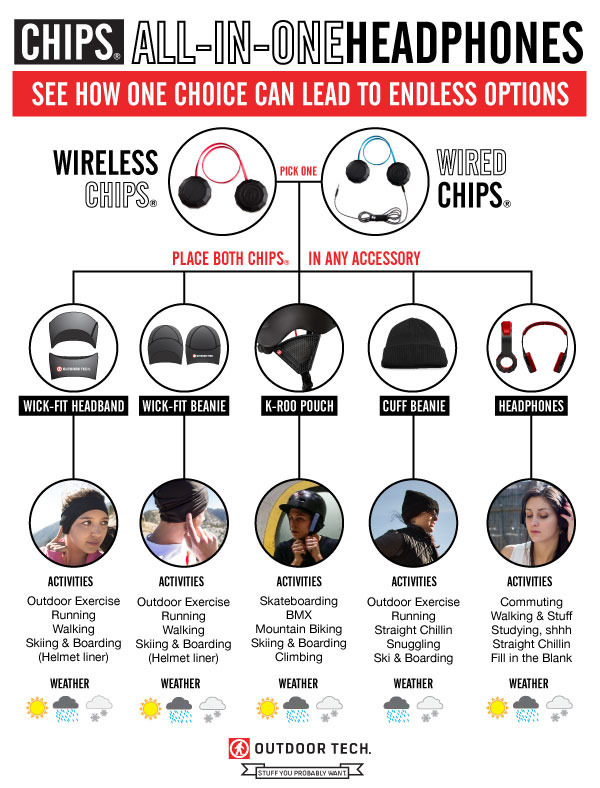 A year of development and the CHIPS® were born. 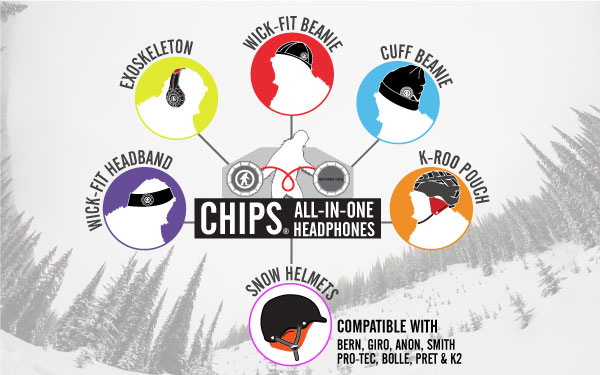 To expand the CHIPS® from primarily being used in snow helmets, to a true All-In-One Headphone solution we’re introducing the following accessories so you can use the CHIPS® in any setting. Best of all, we no longer have to worry about dropping our phone while on the chairlift. 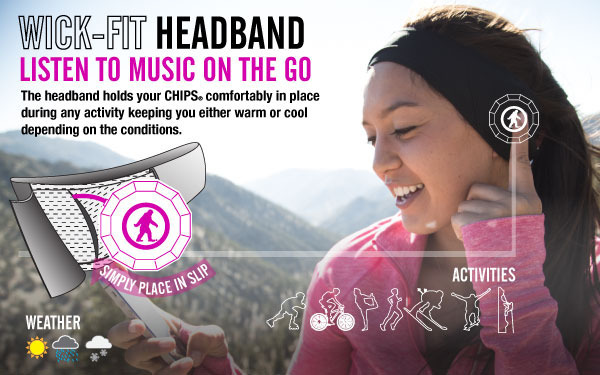 Amazing audio performance on the mountain left us feeling a bit of a letdown with our everyday headphones, so we’ve created an accessory line to allow us to use our CHIPS® in any setting. 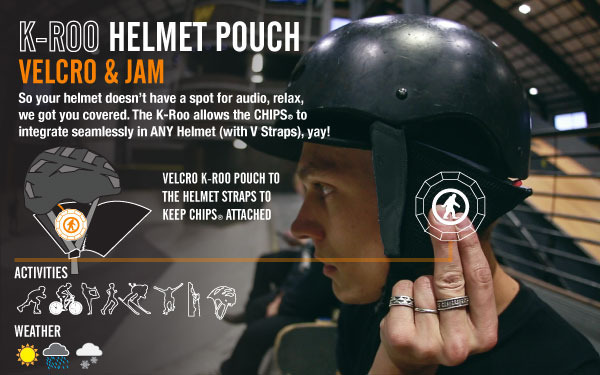 Wireless or Wired – the CHIPS® are ready for anything – killer sound with 40mm drivers, amazing acoustics, and a rugged and durable design.